Stainless steel table base available in dining, poseur and coffee table height. Available from stock for a free and fast delivery. Price is for bases only. 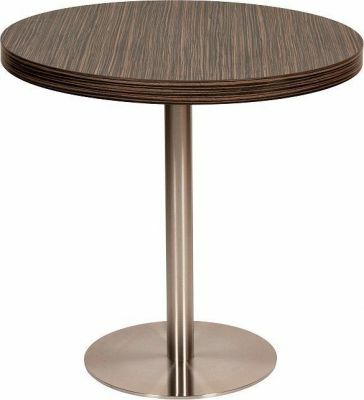 This cafe table base and column is available in a contemporary stainless steel finish. Ice café tables are suitable for heavy duty commercial use in cafés and bars and are available for immediate delivery. The Ice range of café tables is one of our most popular please contact us for further information on this range of modern café tables.